HomeNewsNFLX Stock: Can Netflix Deliver Again? Netflix, Inc. (NASDAQ:NFLX) shares fell more than 1% in early trading on Thursday, despite a target price hike by Morgan Stanley’s (NYSE:MS) Benjamin Swinburne. The analyst raised NFLX from $130 to $150, roughly a 12% upside to ticker’s Friday closing price of $133.70, saying he believes the company’s attrition rate will fall year-on-year both domestically and internationally, aided by the originality and success of its content. Netflix plans a 67 percent increase in its original programming hours in FY 2017 from FY 2016. Swinburne, who keeps an ‘Overweight’ rating on Netflix stock, noted he expects this year’s net member additions in the U.S. to accelerate to 4.3 million, while forecasting international ones to hit 13.3 million. 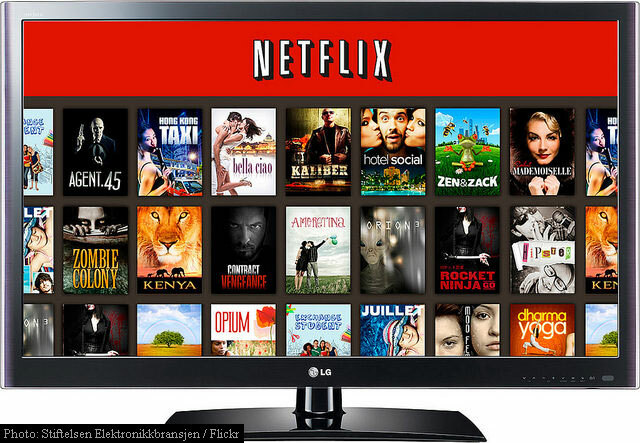 Netflix is set to announce its Q416 earnings after the market close on Wednesday, January 18. Analysts expect the streaming-video media giant to report earnings per share of $0.13. That would be $0.01 higher the $0.12 per share posted last quarter and $0.03 higher the $0.10 posted in the Q415. Revenue is projected to be $2.47 billion, $640 million higher, or up 35% compared with the $1.83 billion posted in the same period a year earlier. Needles to say, following such a solid quarter, the Street has big expectations for Netflix’s fourth quarter. For its streaming revenue, which accounts for the majority of the company’s revenue, management said it expects $2.34 billion, up from $2.16 billion in Q316. In the meantime, EarningsWhisper.com projects Netflix reporting earnings of $0.16 per share. After a 36% rise during the past six month, Netflix stock began trading on Friday at $131.15 to trade more than four points higher from the prior days close of $129.18. On an intraday basis it got as low as $130.58 and as high as $133.93. Netflix shares are priced at 361 times this year’s forecasted earnings. Forward P/E prints 142x. The company’s current year and next year EPS growth estimates print 47% and 129.4%, respectively. NFLX has a t-12 price-to-sales ratio of 6.80. EPS for the same period registers at $0.37. Netflix has advanced 8.30% in the last 4 weeks and 31.76% in the past three months. Over the past 5 trading sessions the issue has gained 2%. The $56 billion Los Gatos, California-based company has a median Street price target of $134 with a high target of $165. Netflix stock is up 20% year-over-year, compared with a gain of 20.7% in the S&P 500.